The question the Exponent II leadership has gotten the most often over the past year is, “What can I do to help?” That question always makes me a little teary; it underlines the resilience, grit, charity, and grace of this community. If you already have a subscription, consider getting a gift subscription for someone wonderful in your life. We will send you a digital postcard you can print off to let them know about your gift. You’ll be spreading the word about Mormon feminism. You’ll be helping our organization thrive. And you’ll earn yourself a reputation for being a pretty awesome gift-giver, all at the same time. 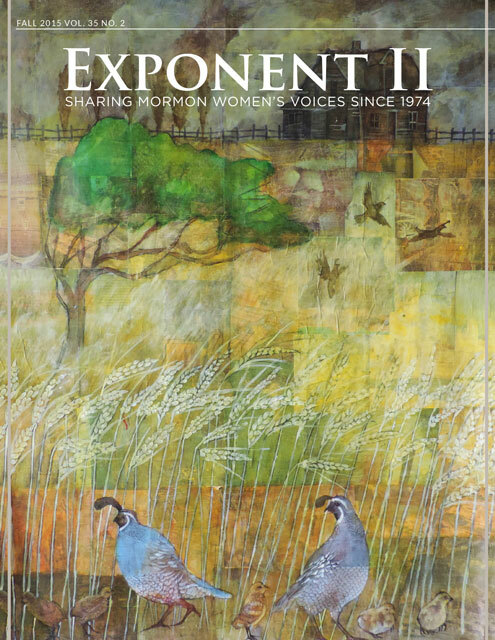 Subscribe to or buy a gift subscription to Exponent II here. Your support keeps us going for future generations of Mormon feminists. Every person who buys a subscription this week will be entered into a drawing for “Illuminating Ladies,” Exponent II’s coloring book about Mormon women.